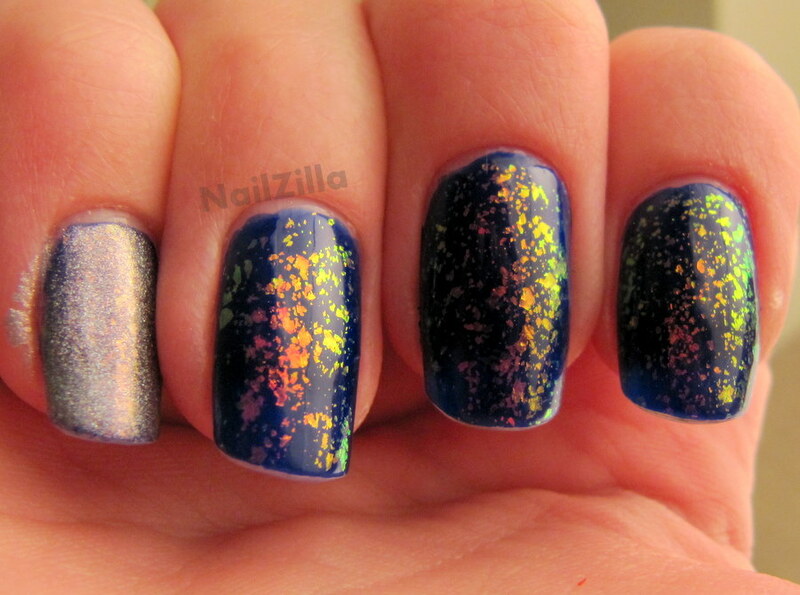 I completely forgot about this mani! I had it on about a week ago. Revlon Royal is a jelly I didn't think I'd like, but I picked it up anyway, just to try it. The deep blue polish didn't look amazing in the bottle but I was surprised in terms of application and finish! Dries fast and glossy, looks great in 2 coats. A true indigo jelly, just transparent enough to look like the bluest bottle glass, but colorful enough to look absolutely stunning. 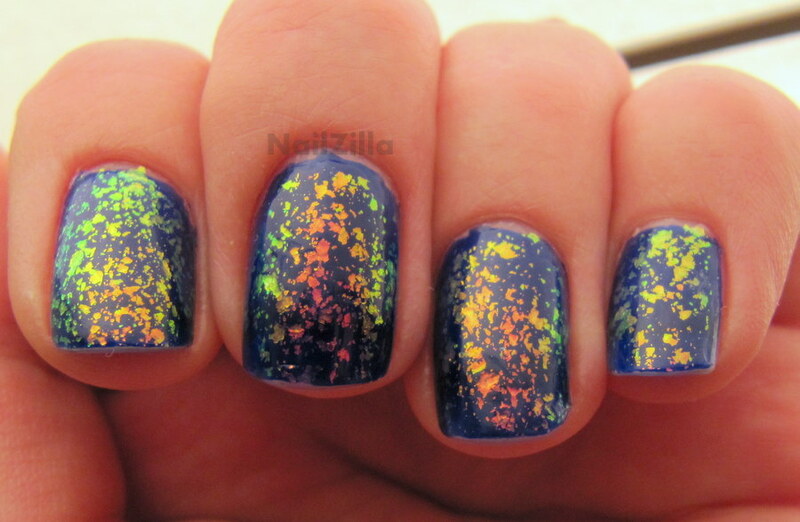 I wanted to give it even more of a flair (looks a little boring from far away) so I layered some flakies on top! Nfu-oh 38 is a green to orange multichrome flakie and it tends to be invisible except for a bright flare of color, sort of like a flame. I really loved this combo since it looked like frozen fire and it was absolutely stunning... I ordered another flakie from Nfu-oh and I hope to experiment with it as well in the future. I'm dying to get my hands on the Revlon jellies.. hopefully I can find them in stores soon!